Maharashtra’s oldest and largest tiger reserve;, over 60 years old and totalling an area of almost 1800 km2, it is home to some 43 Bengal tigers, all logged and tracked, as well as a healthy Sambar deer population and skulking leopards. The wetlands surrounding Tadoba Lake attract the Muggar crocodile and a colourful variety of migratory birds. Our pick of the best places to stay in the Tadoba Tiger Reserve are all located on the edge of the reserve and provide luxurious accommodation and a great stay for spotting the local wildlife. Legend has it that a former village elder, Taru, was killed by a ferocious encounter with a mythological tiger. Today a shrine dedicated to him can still be found beneath an old Banyan tree, along the banks of the Tadoba Lake. If visiting between December and January try and catch the annual fair held in his honour. 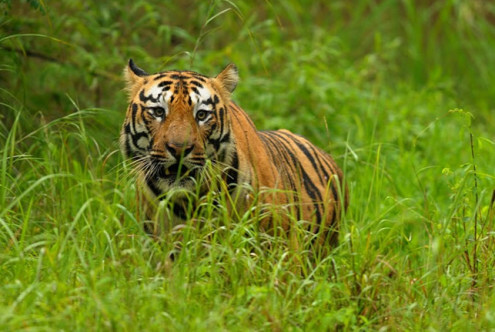 For the best weather visit the Tadoba Tiger Reserve between the months of October and March. Avoid the monsoon months of August and September when wildlife spotting is difficult and roads are bad. 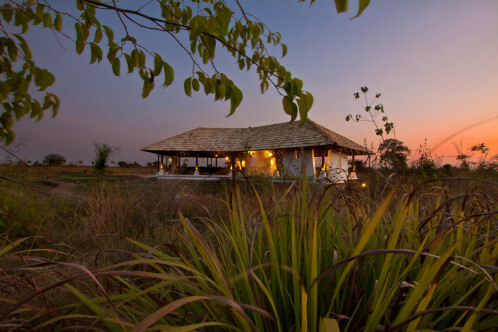 Our pick of the best places to stay in the Tadoba Tiger Reserve are all located for easy access to the surrounding wildlife. Children and adults love a safari holiday. However at Svasara Jungle Lodge they have enough onsite activities to keep the kids entertained all day long. An attractive price and family suites add to the allure. With its own private watering hole from where tigers can (sometimes) be spotted TigerTrails Jungle Lodge is for serious wildlife fanatics. Combined with luxurious rooms and your own watering hole in the form of its fabulous infinity pool you could not want for a more immersive stay amongst nature. Still not sure which to book? From a family friendly lodge to a pad for serious wildlife spotting browse though our list of the best places to stay in the Tadoba Tiger Reserve to start to plan your trip. Or you can widen the net and check out all our Maharashtra recommendations, or contact one of our friendly gurus for advice. Luxurious jungle lodge in the Tadoba Tiger Reserve, set amid 11 acres. Enjoy this secluded spot and feel at one with nature. 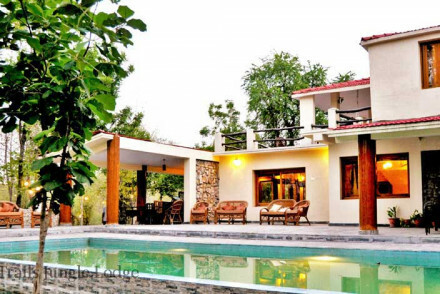 Suites are decorated with earthy hues & all have private courtyards with veranda seating. The restaurant serves unique regional 'Varadi' cuisine under the outdoor gazebo. On the boundary of one of India's best kept tiger reserves, this hotel is renowned for its safari drives. Bedrooms are simple, comfortable and air conditioned. Guests can enjoy home cooked Indian cuisine afternoon teas. Spot tigers at the hotel's private waterhole on the live screens in the lounge.